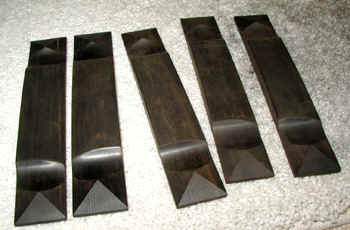 Not too long ago I started making pyramid bridges for some of my guitars. I did this because I love the look of them, particularly on 12 fret guitars such as my parlor guitar. There was one hitch - they are a s** of a b**** to make. My son, Gabriel, who apparently inherited some of my jig making genes, set out to make a jig (or set of them) to simplify the process. The problem with these bridges is the little pyramid on each end. The surfaces must be flat and the lines must meet perfectly at the corners. These photos show the jigs Gabe made. This is the first of the jigs. 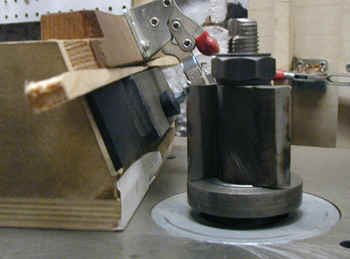 This one is designed to face off the angle at each end of the bridge. 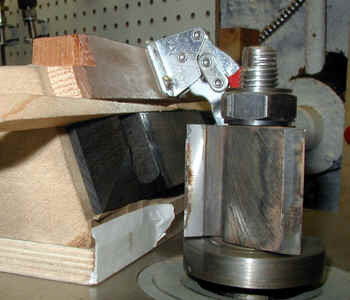 The "working surface" of the jig is the angled piece of plywood at the right bottom of the jig. The rest is just to hold the bridge blank in the right place. 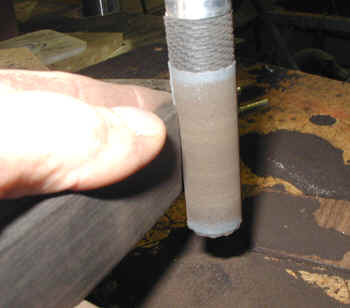 Another photo of the same jig. 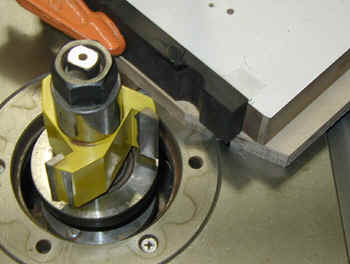 The next jig cuts the angle of the sides of each end of the bridge. 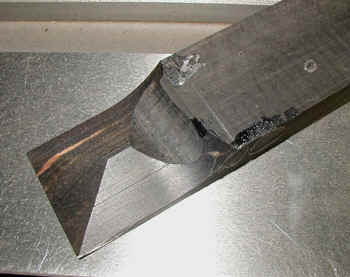 Here the bridge blank is held at the proper angle and the cutter simply follows the straight bottom edge of the jig. 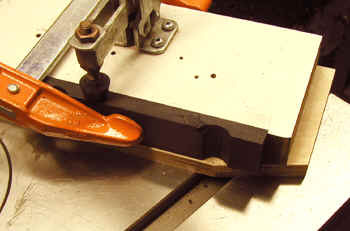 The little wedges are to ensure that the blank stays firmly seated in the right place. Four separate cuts are necessary. Here you can see one of the bridges with the end cut. The next step is to cut the cove that you can see. This will be cut so that the edge of the cove will exactly meet the "point " of the pyramid. 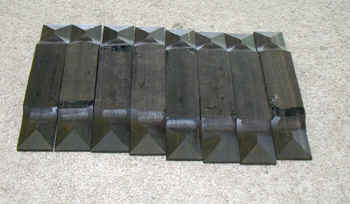 A bunch of machined blanks. The cove between the pyramid and the main body of the bridge is first roughed out with a router bit and then sanded to final dimensions and smoothness. Small drum sanders work well for this. A finished batch of bridges.